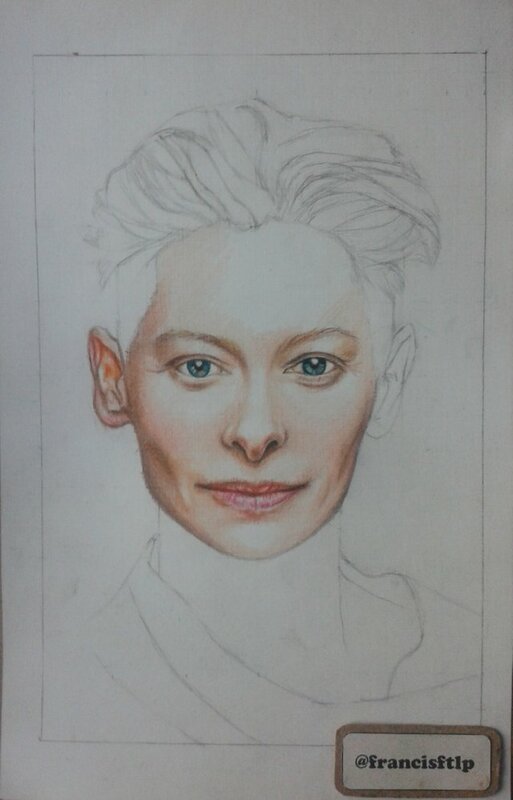 Today I present the portrait of Tilda Swinton, is a British actress and model of Scottish descent. He acted in two movies that I like very much, He played the character Jadis or the white witch, in the film the chronicles of Narnia and The Master in the movie Strange Doctor. 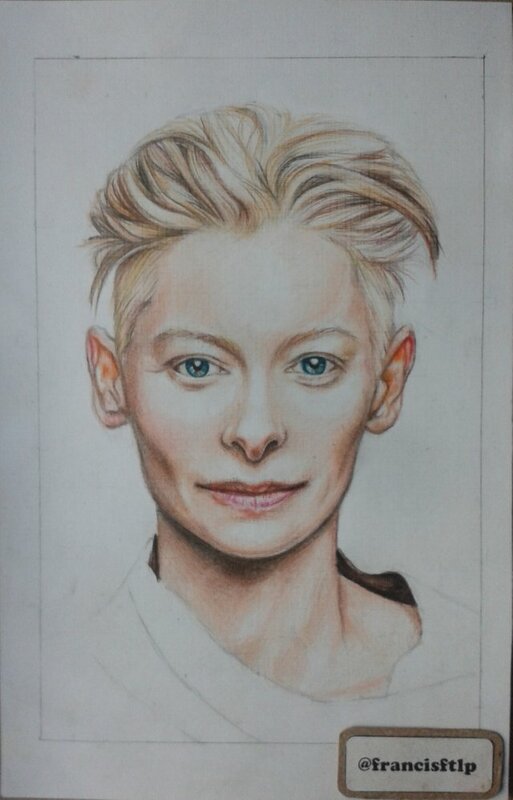 It is an honor to draw this actress because she has some very interesting traits on her face, such as; her skin is very clear and I had to work very carefully that area to not obscure it and damage the work, her hair is also complicated, I had to erase a lot of times to make it look like this. this makes it another challenge for my art collection. I took approximately 8 hours to make this drawing. 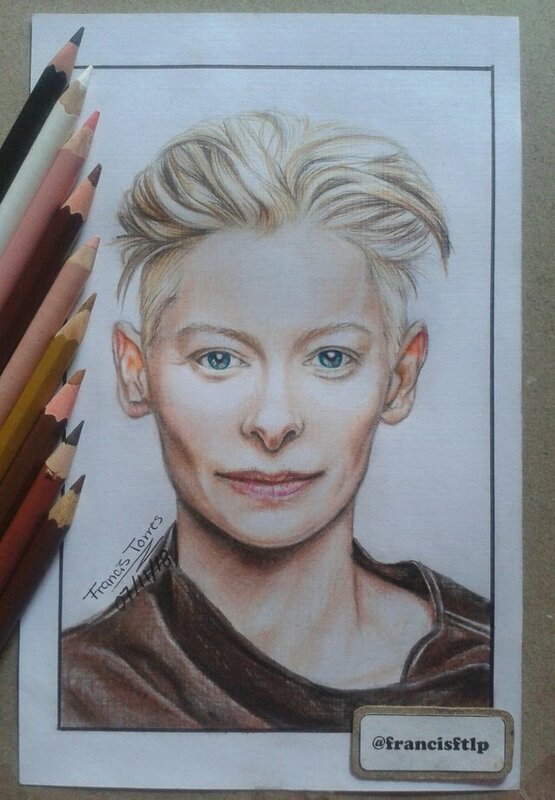 Color Pencils: Faber Castell, Paper-Mate and Prismacolor. Sheet of white thread, dimensions 12,10X20,7 cm. Step 1: Execution of the sketch. Step 2: I started painting the right side of the face, first I placed a light pink base to define the shadows, then I added light brown. For the iris I used blue-green color, I also added a bit of beige and black. For the ear, I used orange, brown, red and pink. Step 3: In this step I painted the left side of the face. 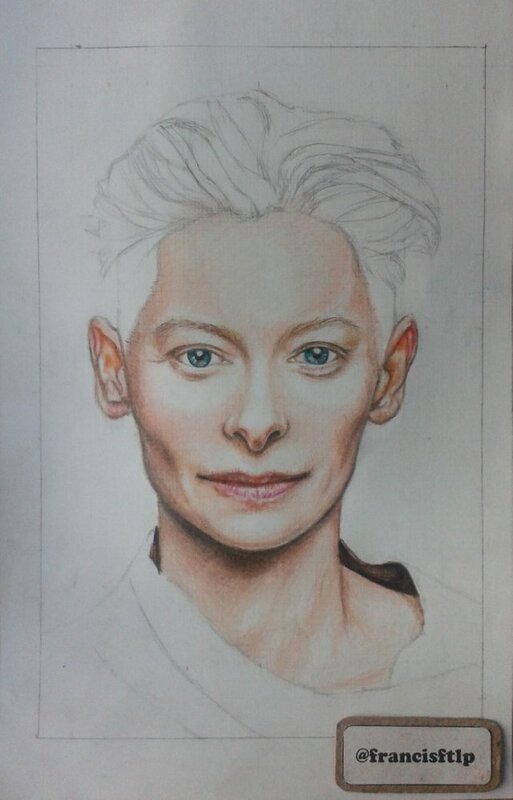 Step 4: I painted the forehead, the left ear and the neck. 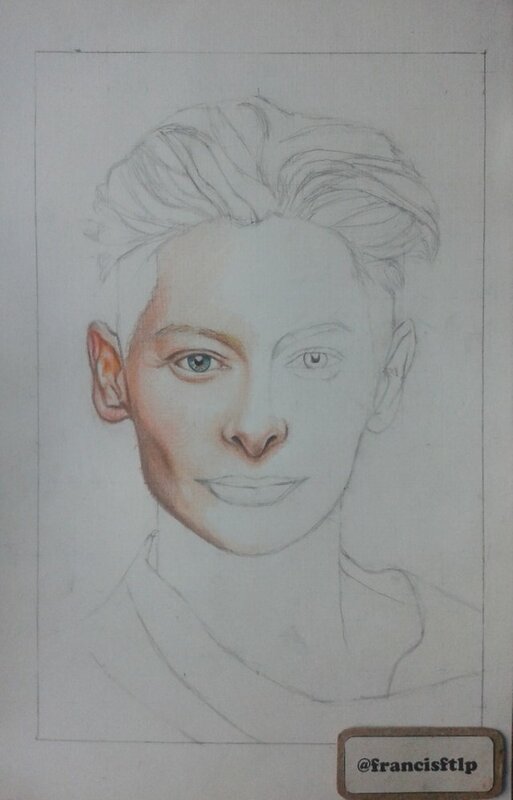 Step 5: to paint the hair, I left blank spaces, I added light yellow parts, and I defined it with brown and black. Step 6: finally I painted the clothes. I hope you liked this new drawing. Thank you for reading, you can support my work with upvote, follow or refeem, I will be totally grateful. 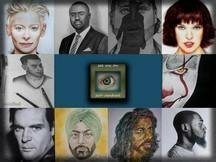 You can also leave your comments, I would love to know what you think of my work. Thank you very much for the support, it will be an honor to review the publication. I'm sorry to respond so late. hey @trincowski, thank you so much, I'm happy to have you here again. I'm sorry to answer very late. 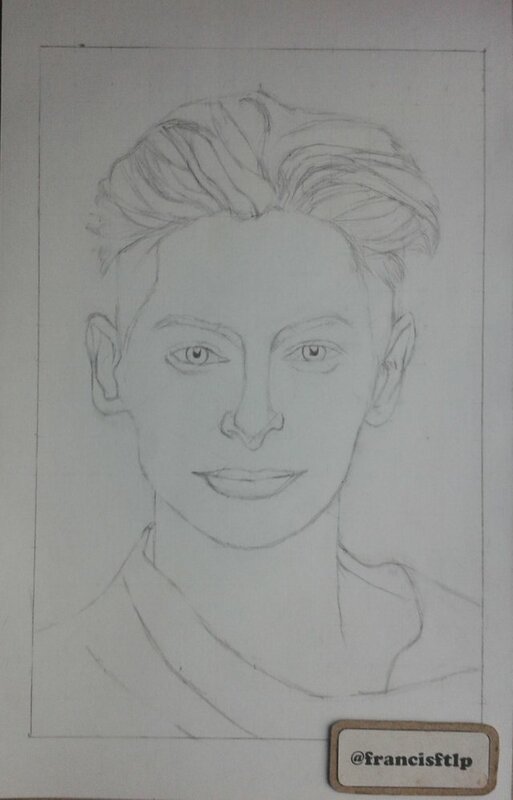 I'm glad to know that I drew one of your favorite artists. 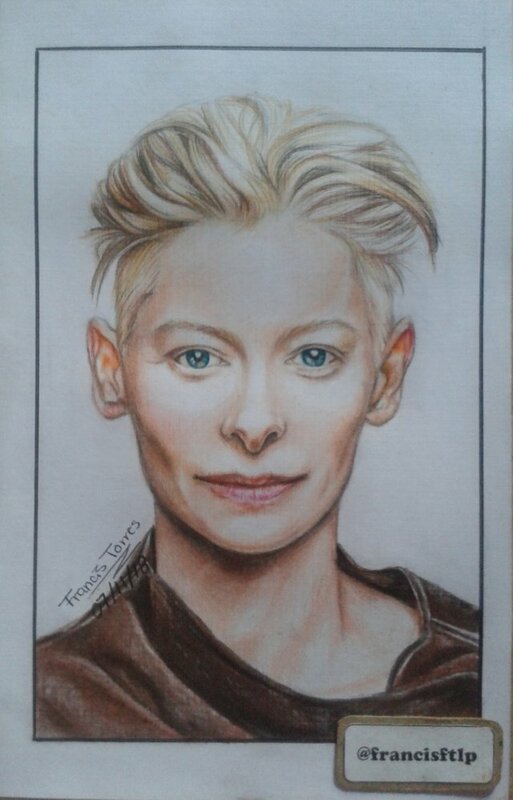 I'm really happy to achieve the resemblance of the actress in the drawing. Thank you very much, I'm happy to meet you. You're welcome, nice to meet you too. Hey @melooo182, me alegra verte de nuevo aquí.